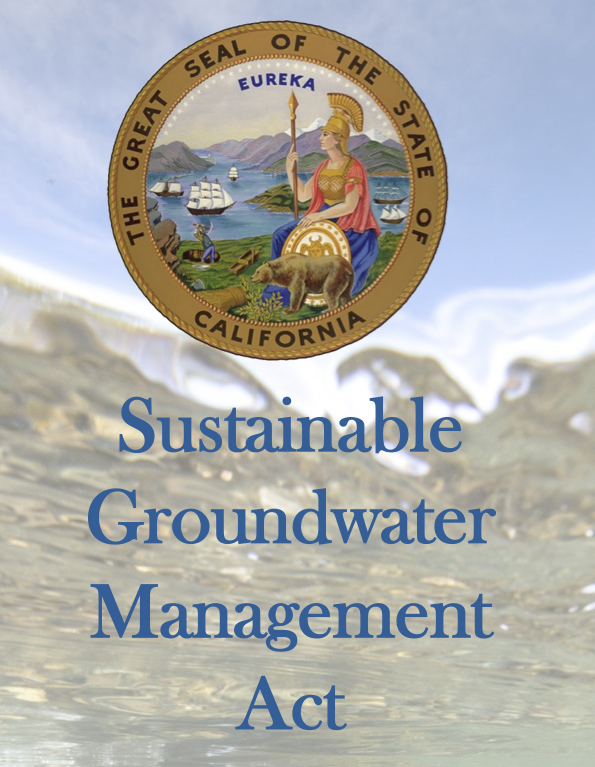 This research examines the processes and mechanisms used by Groundwater Sustainability Agencies (GSAs) as they seek to sustainably manage their shared groundwater resources under California’s Sustainable Groundwater Management Act (SGMA). 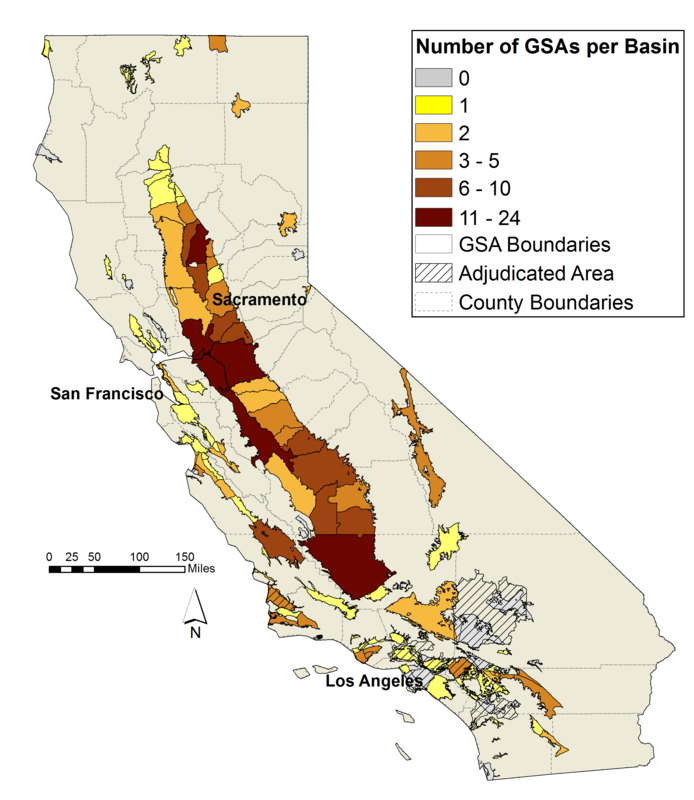 GSAs in the groundwater basins designated as critically over-drafted are required to submit groundwater sustainability plans (GSPs) to the California Department of Water Resources (DWR) by January 2020. Where multiple GSAs formed in a basin, those GSAs must either collaborate on a basin-wide GSP or prepare separate GSPs that are coordinated to achieve basin-wide sustainability. To better understand factors influencing coordination processes, this research examines GSP development in the 16 multi-GSA basins that are in critically over-drafted conditions. Data collection will occur during two stages: during GSP development and post GSP submission. Examining GSP development and coordination as it occurs facilitates identification of the day to day mechanisms used for coordination, as well as the procedural, communication, and technical questions that arise as GSAs navigate GSP development. Understanding the perspectives of GSAs after GSPs have been submitted provides insights as to how GSAs resolved coordination challenges and their lessons learned. Research activities include two sets of semi-structured interviews and two surveys. The interviews will provide detailed understanding of the experiences of GSAs in coordinating GSP development, whereas the survey will ensure collection of a consistent dataset across all of the GSAs. Information about coordination decisions and processes will be collected from as many of the GSAs in the critically over-drafted basins as are willing to participate in the research. Interviews will also be conducted with hydro-geologic consultants, lawyers, facilitators, and DWR staff involved in GSP production. Expected outputs from this research will include i) an analysis of the questions and issues GSAs in the critically over-drafted had to resolve in order to coordinate their groundwater sustainability planning as well as the innovations and solutions GSAs devised to address those issues; ii) an analysis of governance structures for coordination as well as the mechanisms used for coordinating the project management aspects of GSP development, communication, knowledge development, data collection and analysis, goal setting, and policy selection and implementation. Research results will be disseminated via policy briefs, white papers, and academic articles. Results will also be communicated during professional conferences, brown bag events, email list serves and other mechanisms. This research is based upon work supported in part by the National Science Foundation under Grant No. 1824066. Any opinions, findings, and conclusions or recommendations expressed in this paper are those of the author(s) and do not necessarily reflect the views of the National Science Foundation. For questions about this research please contact amilman ‘at’ eco.umass.edu.